Anniversary gems give couples the opportunity to celebrate relationship milestones with uniquely crafted jewelry. The tradition of giving one’s significant other a gift to commemorate an anniversary dates back to medieval Germany, when husbands would present their wives with a silver wreath after 25 years of marriage, and a gold wreath on the couple’s 50th anniversary. Over time, that practice began to change, with gemstones being used to honor the occasion. The tradition still holds true today, with anniversary stones serving as a popular way for couples to recognize each milestone of their relationship. According to tradition, the first year is celebrated with gold jewelry. The anniversary years following include garnet (second), pearls (third), blue topaz (fourth) and sapphire (fifth), and all the way to the diamond jubilee (60th). This year, Sea Island celebrates its 90th anniversary, which is traditionally associated with emeralds or diamonds. While anniversary stones are rooted in tradition, the approach to gifting them continues to evolve. For example, these days, couples often purchase jewelry in honor of the major milestones, rather than seeking a new piece every year. While it isn’t a stone, the tradition of gifting gold to celebrate shines just as brightly as any gem. 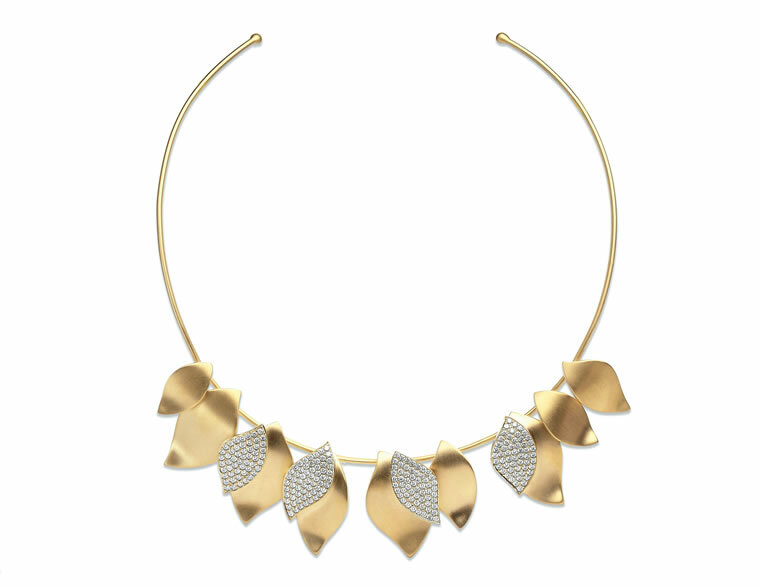 With a satin finish and independently hinged diamond-crusted leaves, this necklace drapes beautifully around the neck. In hues of pink to deep red, rubies are reminiscent of love—perfect for celebrating a big milestone anniversary like the 15th, and especially the 40th. 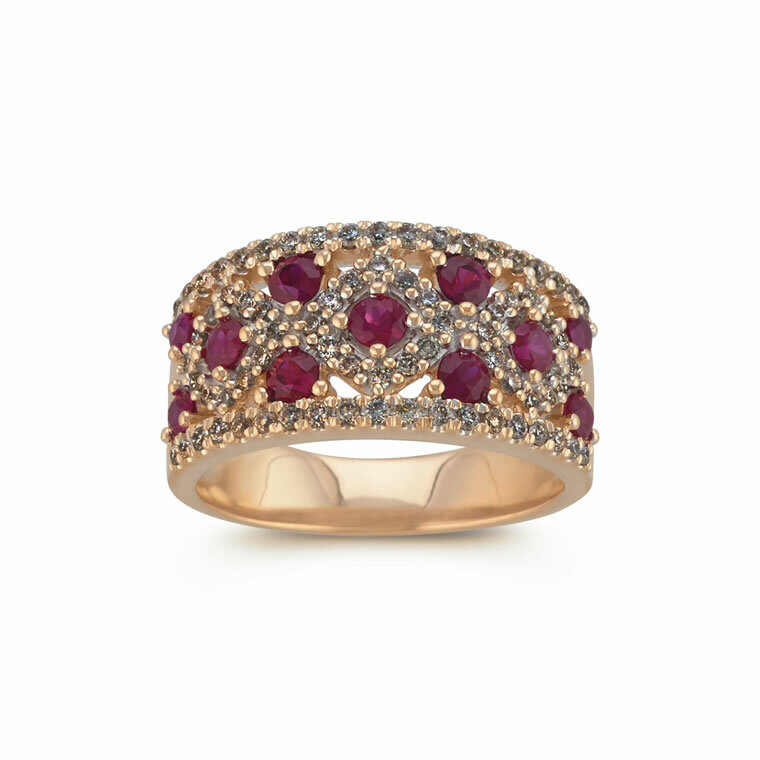 This ring, crafted in 14-karat yellow gold, features 11 round rubies surrounded by 74 smaller round diamonds for extra sparkle. Diamonds look gorgeous both in a solitaire setting and when accompanied by other anniversary gemstones. 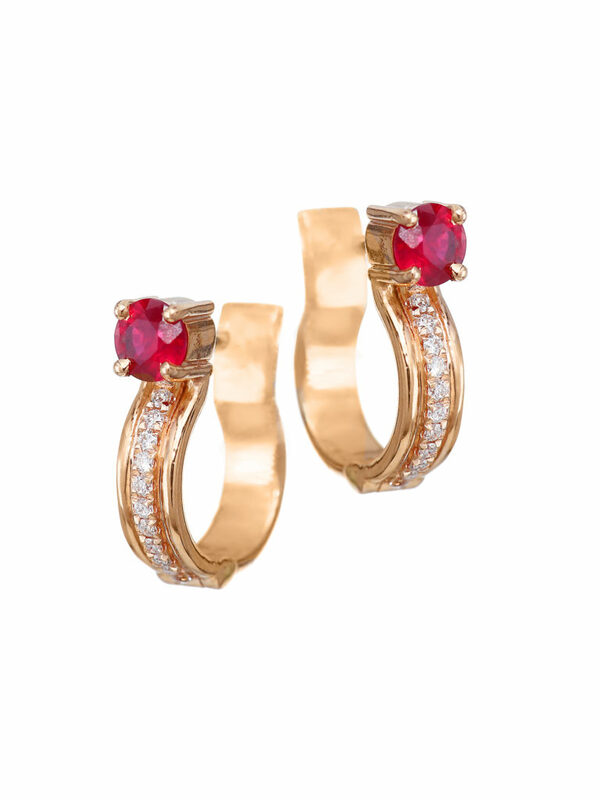 These diamond-encrusted hoop earrings in rose gold get a pop of color from ruby red stones. 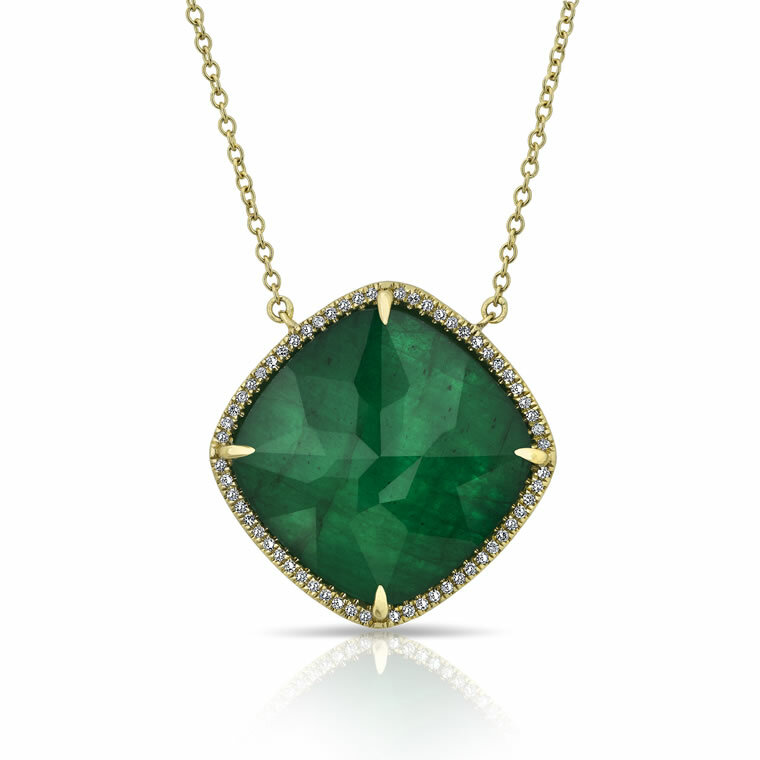 Some believe that emeralds bring good luck, and anyone receiving this yellow-gold emerald necklace from Anne Sisteron would most certainly agree. The unique geometric shape and the tiny glittering diamonds that encircle the bold green emerald make it a great choice for a loved one. 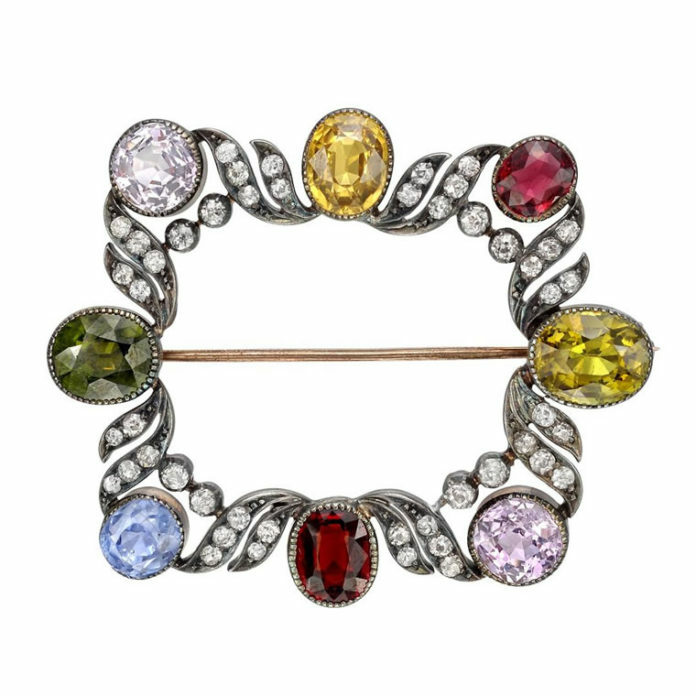 This colorful brooch, circa 1900, showcases a variety of gems in a diamond-set scroll with silver and gold. 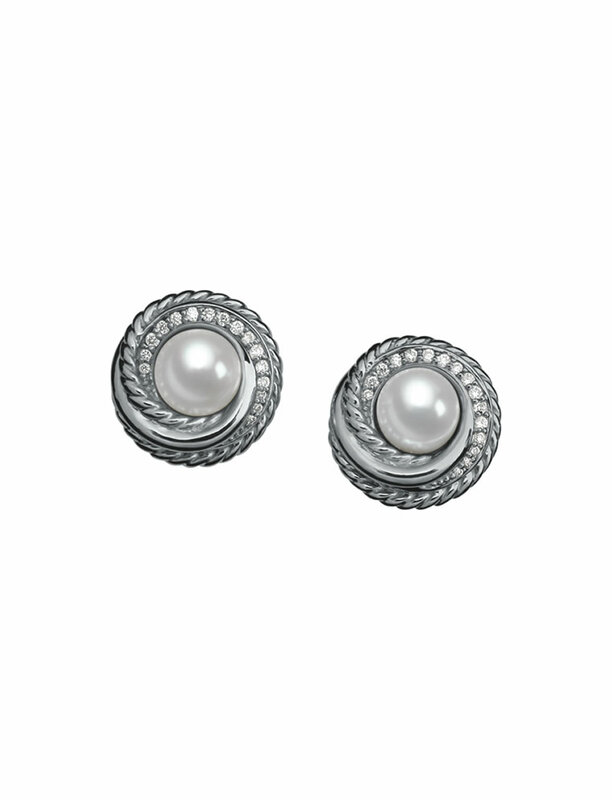 With all the classic style of a traditional set of freshwater pearls and the contemporary appeal of the unique sterling silver setting, these earrings will serve as a symbol of both your past and your present, together. Sapphires come in many colors, making it easy to customize your gift with your spouse’s favorite shade, but these traditional deep-blue hues are truly classic. 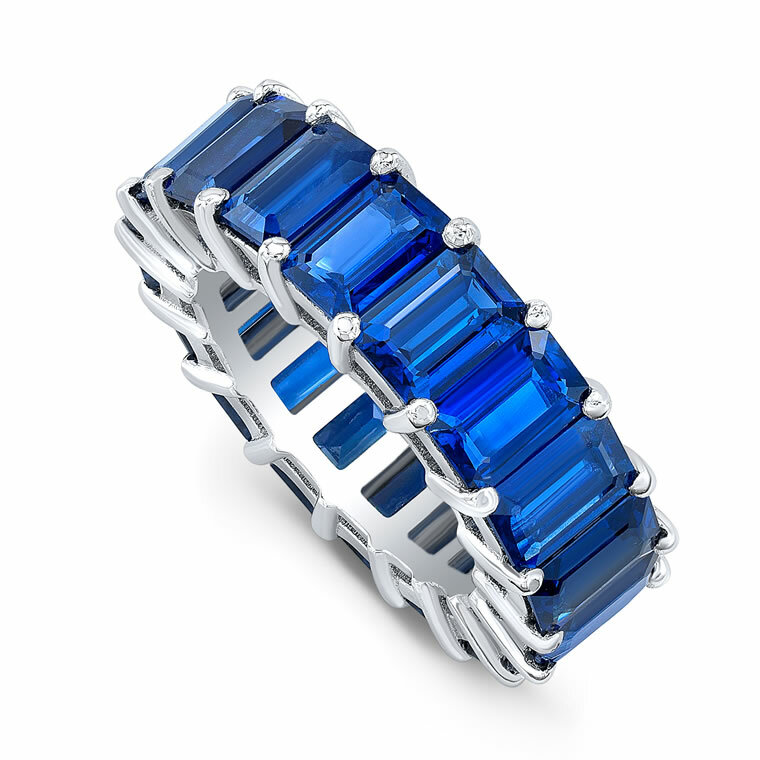 This handmade ring is set with 6.8 carats of sapphires. The platinum setting pairs perfectly with other rings, but the piece is also a standout on its own.